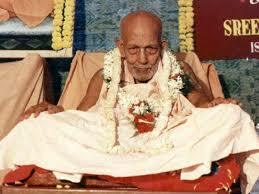 Whatever I have understood about the special qualities of Most Revered Shiksha Guru His Divine Grace Parampujyapad Tridandi Swami Sreemat Bhakti Promode Puri Goswami Maharaj, even externally, that He was doing any devotional form with great sincerity and humbleness. Supreme Lord is Transcendental, His Absolute Counterpart Grace-incarnate Form Gurudeva is also Transcendental. They are both beyond comprehension of the conditioned souls of the world. Only a bonafide surrendered soul can narrate Transcendental qualities of Supreme Lord and His Absolute Counterpart Gurudeva, to the extent of his degree of submission. There is no end of degree of submission and therefore there is no end of realisation of Transcendental qualities. As such, even a surrendered soul cannot say, whatever he has realised about Supreme Lord and Gurudeva is the end of his realisation, what to speak of conditioned souls of the world. The realisation of God and His Personal Associates has got no end, it will go on ad infinitum. With humbleness when we sincerely endeavour to write or speak about the glories of Supreme Lord and Gurudeva, They will accept our service with satisfaction, forgiving our shortcomings. Although externally I had the opportunity to be in close contact with Him because of my engagement in writing and seeing proofs of matter for the press along with Him, due to want of bonafide submission, I could not touch His Transcendental qualities. Whatever I have understood about the special qualities of Most Revered Shiksha Guru His Divine Grace Parampujyapad Tridandi Swami Sreemat Bhakti Promode Puri Goswami Maharaj, even externally, that He was doing any devotional form with great sincerity and humbleness. I saw Him writing Bengali articles quickly and without any spelling mistake. He was an erudite scholar. I pay my innumerable prostrated humble obeisances to His Lotus Feet to forgive me for my offences, which I might have committed knowingly or unknowingly and offer His causeless mercy unto me.